The RadBusyIndicator exposes a Style property which allows you to modify its appearance. 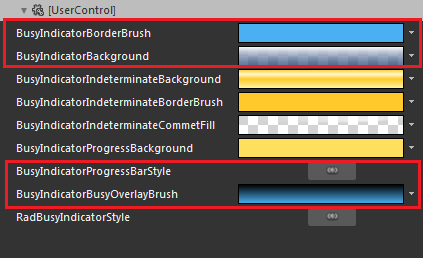 BusyIndicatorBorderBrush - represents the brush applied to the indicator's busy content border. 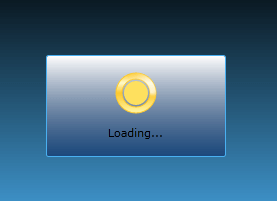 BusyIndicatorBackground - represents the brush applied to the indicator's content background. 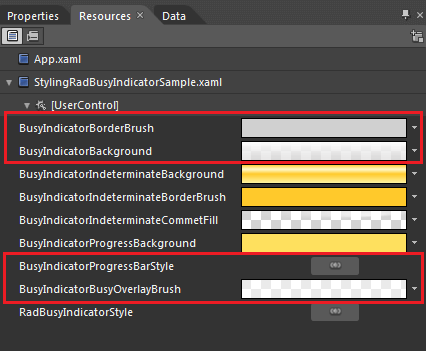 BusyIndicatorBusyOverlayBrush - represents the brush overlaying the RadBusyIndicator's content while the indicator is active.